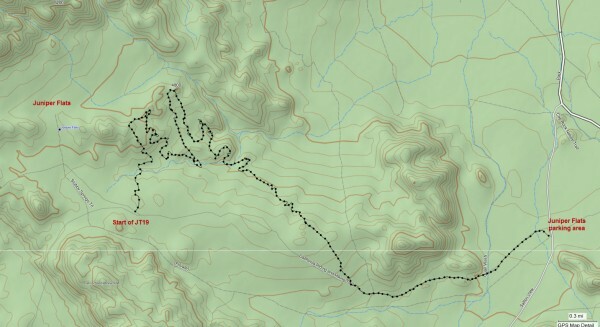 Rationale for searching this area: Filling in a variety of search area gaps remaining in the area southeast of Juniper Flats. Impressions of area and findings: Fairly open terrain with occasional rocky outcrops. This was another good example of using a preplanned GPS path to adequately cover a variety of separated and diverse areas to a high level of confidence by, in this case, a single individual. As can be seen from the GPS track below there was considerable zig-zagging. This was planned to fill in remaining search gaps. 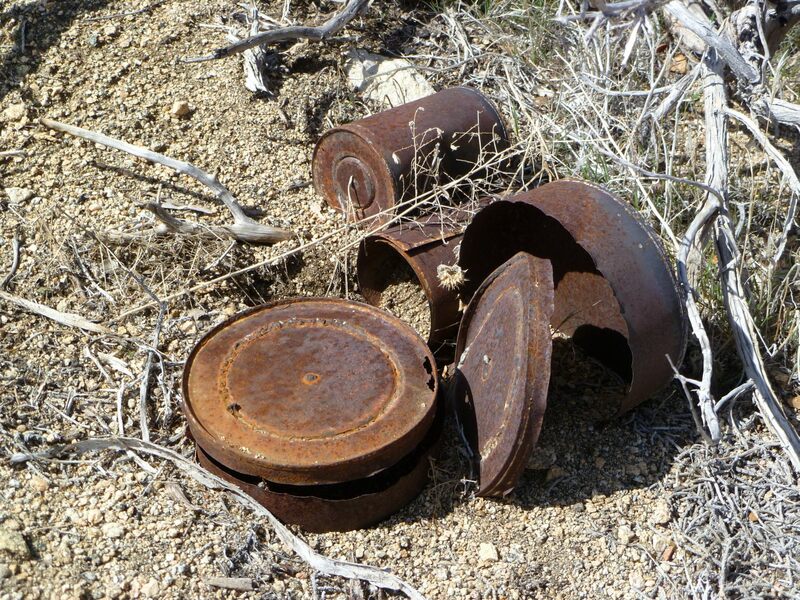 During the course of this search, an interesting old can dump was discovered, which looked like it might have once been a rancher’s camp. The cans appeared to be of the soldered variety, indicating a significant age.